The make-up remover care cream is particularly suitable for mature skin. 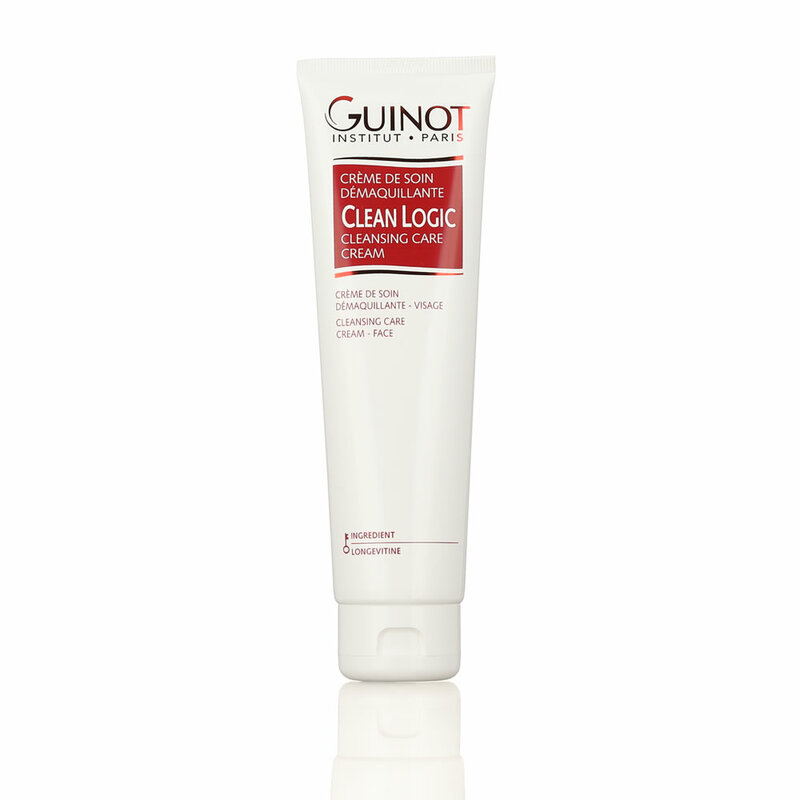 Cleans and removes make-up, strengthening the hydrolipid film. Rejuvenates the appearance of the skin - Longevitine (extract of Alaria Esculenta algae). Builds the lipid barrier (karité oil). Hydrates and provides comfort (hydrocyte complex with hyaluronic acid). The cream texture surrounds the skin with softness and comfort. Using the fingertips or a cotton pas, apply morning and/or evening to the entire face with the Clean Logic Lotion.